Quick summary: Students will complete a creative writing task based on factual stimulus material. They are asked to write a short story based on the life of Jane Crosswell, who was a young girl when her family moved to the village of Strathgordon so her father could work at ‘The Hydro’. Learning goals: This lesson is designed to provide valuable practice for NAPLAN*, the national literacy test held in Years 3 and 5. It features a creative writing task that requires students to use their imagination to expand on a nonfiction text. Use comprehension strategies to build literal and inferred meaning and begin to evaluate texts by drawing on a growing knowledge of context, text structures and language features (ACELY1680). Plan, draft and publish imaginative, informative and persuasive texts demonstrating increasing control over text structures and language features and selecting print,and multimodal elements appropriate to the audience and purpose (ACELY1682). Resources required: Internet access, Student Worksheet (one copy per student OR computers/tablets to access the online worksheet), pen and paper for story writing. 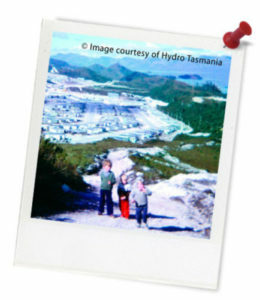 Keywords: Energy, hydropower, history, children, Hydro Tasmania. Overarching learning goal: This lesson is designed to provide valuable practice for NAPLAN*, the national literacy test held in Years 3 and 5. It features a creative writing task that requires students to use their imagination to expand on a nonfiction text. Thought starter: 'The Hydro' has been operating for over 100 years! In this lesson, you will complete a NAPLAN style practice creative writing task. Read the Reading Text below and write a story based on the information and photographs provided. You have 40 minutes to write and proofread your story. Write on separate paper and remember to include your name. 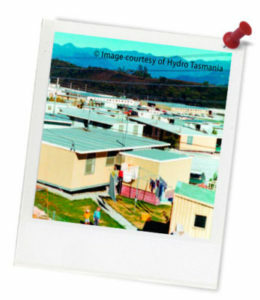 Hydro Tasmania provides electrical energy for the people of Tasmania, Australia’s island state. The word ‘hydro’ means ‘water’. Hydro Tasmania has thirty hydropower stations in Tasmania and a wind farm on an island in Bass Strait. Hydro Tasmania operates two wind farms on mainland Tasmania under a joint venture. Hydro Tasmania catches the electrical energy from these sources and sends it to places where it is needed, to power people’s homes and businesses.